21 States file lawsuit over overtime rules against DOL and Obama admin. Texas headed a joint effort by 21 states to file a lawsuit over overtime rules issued by the Obama Administration 2 years ago. The rules were put into place earlier this year by the Department of Labor. Under the new overtime rules, approximately 4.2 million workers will be affected. The new overtime law aims to increase overtime pay for workers who are currently classified as exempt. Under the new laws, “white collar” aka exempt employees who make under $47,476 a year will now be eligible for overtime. However, there is much opposition to the new laws and many estimate that this will cause a decrease in flexibility and pay for workers. This is because many companies have no room in budgets for increased wages. Further, they are planning to lower starting wages to compensate. Yet, the lawsuit filed by the 21 states describes the damages to state and local government by the new overtime law. Under the new rules, there are no overtime exemptions for state or local governments. The final rule was issued by the Department of Labor earlier this year and starts on December 1. This means that state and city governments, who had already approved budgets, are now required to re-prioritize those budgets to meet the new rules mid-budget. The states’ lawsuit maintains that the new overtime laws will impede their ability to pay employees. As a result, it violates state’s rights. These rights protections are contained in the Tenth Amendment and the Administrative Procedure Act. The state generals attorneys echoed these concerns. They stated that the new rules illegally deal with “indisputable attributes of state sovereignty” and defy the Tenth Amendment. Further, “The threat to the states’ budgets and, consequently, the system of federalism, is palpable,” wrote the states in their lawsuit. They argue that forcing the states to use more funds for overtime pay and salaries. The new rules allow the Federal Government to “unilaterally deplete state resources, forcing the states to adopt or acquiesce to federal policies, instead of implementing state policies and priorities.” In other words, by depleting state funds through the new overtime rules, the Federal Government can force states to make other rulings because the states don’t have the funds to compete. This occurs when the Federal Government attaches strings to Federal funds in the form of new laws. One example a decade ago was to limit the freeway speeds to 65 mph for additional federal funding. Another example may play out with the Obama edict about transgender bathrooms in schools. The letter based federal funding on school compliance. The states can resist Federal Government oversight by having budgets that allow them to locally fund programs without Federal money. 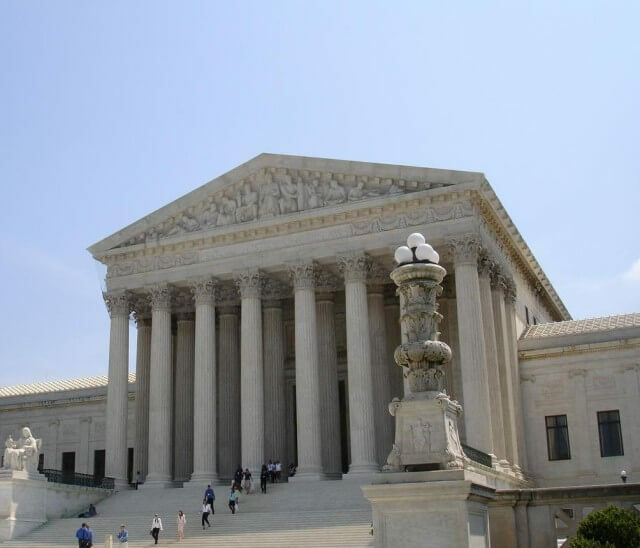 Furthermore, the plaintiffs argue that the rule is unconstitutional because it issues fiscal mandates to states, which are supposed to be under state control. Additional points of opposition are stated. In the lawsuit over overtime rules, the state attorney generals allege that the new laws create a budget crisis. State budgets are approved years in advance and are carefully managed. Many states have a balanced budget constitution, which means that they have to stay within the budget and aren’t allowed to go into debt. 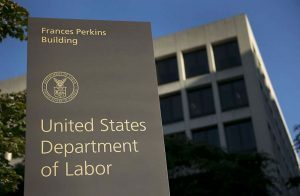 The new rules issued by the Department of Labor (DOL) in April gave only six months for government and businesses to be in compliance. The new rules are set to start December 1. By forcing the states to redo budgets mid-year, it forces them to reallocate funds that were previously allocated for programs aimed at helping low-income families. These are the very families the DOL claims to be protecting. Nevada Solicitor General Lawrence VanDyke said that unplanned expenses will make it harder to balance his state’s two-year multi-billion budget without tax hikes. Is Obama overstepping his authority? The new rule creates new laws every 3 years without congressional authority. Texas and Nevada filed the lawsuit in U.S. District Court, calling the overtime regulations “illegal” because they are set to increase the threshold for eligibility automatically every three years. This is done without valid congressional authorization, according to a statement by Texas attorney general Ken Paxton. Under the new overtime rules, the threshold is based on wage salaries. It also includes an update that automatically changes the threshold. This is a point that is challenged in the lawsuit because it provides for changes to the law without going through the rulemaking process and without considering current economic conditions. Nevada Solicitor General Lawrence Van Dyke questioned the federal government’s legal authority to mandate the amount that state have to pay workers without limitations. Additionally, Jesse Panuccio, who is a partner with Foley & Lardner in Miami and a former general counsel to Fla. Gov. Rick Scott stated; “It’s not the particular increase at this time, but the fact that every few years, without any further rulemaking, the salary level can change.” He continued, “To have this automatic change, without any assessment of the economy at the time and conditions in the workplace,” could violate the Administrative Procedure Act, which governs how the executive branch agencies hands down new rules. Plus, “It also ignores the DOL’s prior admissions that ‘nothing in the legislative or regulatory history. . . would support indexing or automic increases . . the Department believes that adopting such approaches in this rulemaking is both contrary to congressional intent and inappropriate.” Paxton states in his suit. The States’ claim in the lawsuit that they will have to reduce or eliminate some essential government services and functions if the new overtime rule was allowed to move forward. The state that have joined Texas and Nevada in the lawsuit over the new Overtime Rules update include Alabama, Arizona, Arkansas, Georgia, Indiana, Iowa, Kansas, Kentucky, Louisiana, Maine, Michigan, Mississippi, Nebraska, New Mexico, Ohio, Oklahoma, South Carolina, Utah and Wisconsin. Although the lawsuit was filed in the U.S. District court of Eastern Texas, which is known for its speedy decisions, it is still advisable for businesses to prepare for the changes on December 1. There are a number of things businesses should be aware of when preparing for the overtime rules. Contact a SwipeClock partner to learn more about the timekeeping tools available for every business and industry.